Once you have your Id go to BDMP Online Registration and login (top right), the Event is called the “German Open Action Weekend 2018”, once logged in – you can select the “Edit Registration” Button and select your details. The German Open, run by the BDMP, will be taking place in Leitmar on the 9-11 of November. This will include the German leg of the 2018 IGRF International series. NASRPC will be entering Irish teams in both the GRSB1500 and GRCF1500 IGRF Matches. Many individuals will also be taking part in the various GRSB, GRCF and GRM1 events and there are also team events aggregating the scores from teams of individuals. This is a great opportunity to take part in an away match. You will need a European Firearms Permit for any firearms you intend to bring with you. Online registration usually opens in October. You can travel by plane (Dusseldorf and Eindhoven would be the closest Airports) – and a number of people have travelled by road over the years, utilising ferries to France or landbridge via Britain. 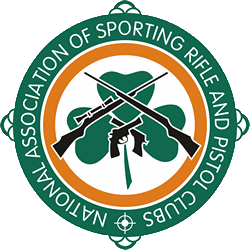 If you plan on entering then please notify vicechair@nasrpc.ie – so we can keep track of who is going and ensure BDMP are provided with your most up to date National classifications ahead of the event. As more more information on the event becomes available, we will pass it on.